Finance and Leasing for your Studio. We’ve made it so affordable that it only takes the cost of a cup of coffee a day own your very own Zebra Yoga Flooring. There’s no reason why you have to admire your competitors Yoga Studio anymore… let them admire your facility. There are no more excuses for poor quality training facility... isn’t time you deserved the best? So what are you waiting for? 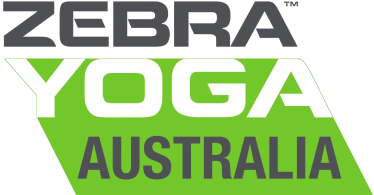 Call (03) 9357-5354 or email us today and get your Yoga space in shape. Below is a quick calculation of just how effective leasing can be for your Yoga School or Studio based on a small, medium and large floor areas. See just how simple and effective a lease/finance option can be (as well as Tax effective) and how you can move forward in creating the best Yoga Studio in your area. It is based on a 5 year Finance Lease with the chance to upgrade or own outright at the end of the term. Zebra Yoga Floor Leasing and Financing Options make it simple and easy with options starting from as little as the cost of a cup of coffee a day. Q) Is there a minimum or maximum amount? The minimum transaction amount is $1,500. The monthly rental amount is based on the (ex GST) price of the equipment and the lease term chosen. A quote can be obtained by simply calling us on (03) 9357–5354 during office hours or simply contact us on our 'Request A Quote' page. Q) How do customers pay? All payments are automatically direct debited from the customer’s nominated bank account or credit card (Visa, Bankcard or MasterCard). Q) How do customers apply? Simply call us on (03) 9357 – 5354 so that we can provide you with a basic quotation. The customer will then speak with one of our experienced consultants who will complete the credit application with absolute confidentiality and discretion. Upon approval, the agreement is faxed immediately to the point of sale for signing. Once the agreement has been completed and signed, you can take the goods. Q) What type of questions do we ask during the application process? In most circumstances, we simply need to obtain some basic personal and company financial details. For registered companies additional information may be required, especially on larger agreements. Q) What will the lease cost and what will the weekly/monthly repayments be? Once you have your final wishlist, we can let you know what the costs will be per week so that you can effectively plan your business budget. Every quote is a free no-obligation quote. Once your ready we can help you take the next step. Q) What is the difference between Operating Lease and Fiance Lease? Operating Lease is best suited to business how wish to upgrade and grow giving them more flexibility to move within their lease. Finance Lease is suited to smaller businesses or individuals who just want to lease without upgrading options or extras. Both lease are lease to own arrangements making the product and items yours to keep at the end of the term.